Homeowners and prospective buyers look at a home very differently so it's useful to consider a remodeling project from a buyer's perspective when you're thinking of selling your home. But which projects are most effective for the housing market? 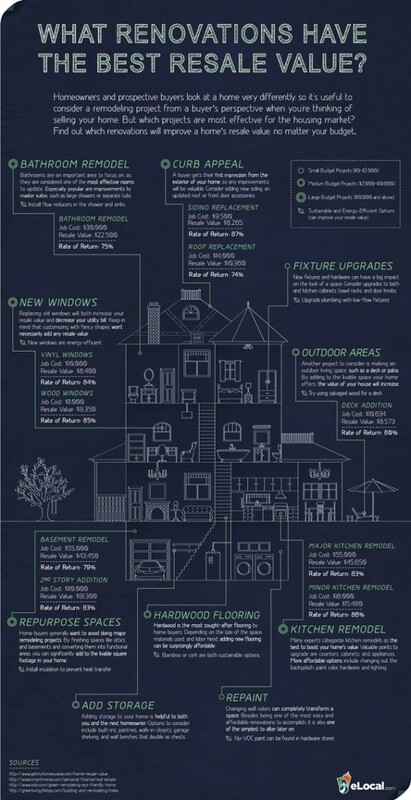 Find out which renovations will improve a home's resale value, no matter your budget with this helpful infographic from eLocal.